They are the most highly-advanced and exciting ocean-going race boats on the planet but the monster-sized trimarans of the Ultim 32/23 Class has faced an uncertain future in recent months after the majority of the boats competing in last year’s Route du Rum failed to make it through the transatlantic race’s stormy opening 48 hours. 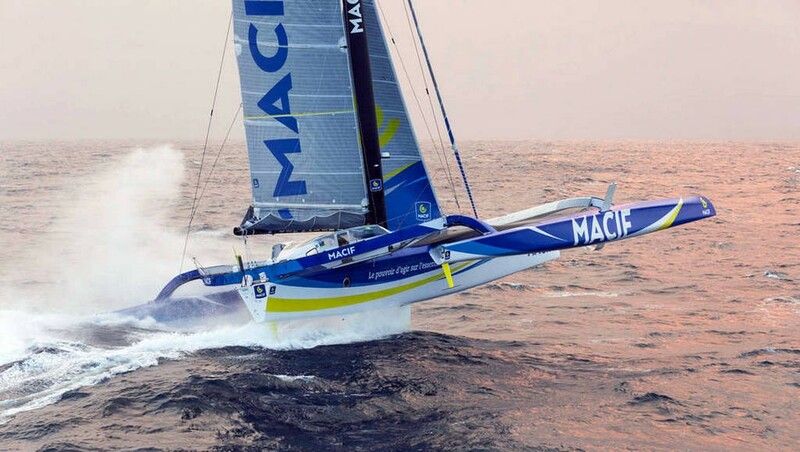 Of the five maxi-trimarans taking part, only Francois Gabart on Macif and Francis Joyon on IDEC managed to make it all the way across. The battle between these two to be first to Guadeloupe was a compelling one which went down to the final hours of the crossing when Joyon edged ahead to take the line honours gun. 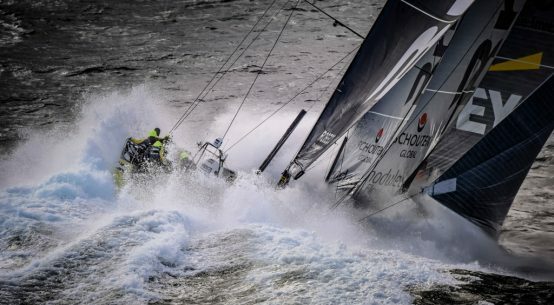 Two of the other three giant multihulls – Thomas Coville on Sodebo and Sebastien Josse on Edmond de Rothschild – suffered damage bad enough to force their retirement. Meanwhile Armel Le Cléac’h on Banque Populaire had to be rescued after his boat capsized and began to break up in strong winds and big seas. Happily Le Cléac’h survived his ordeal largely unscathed but his boat was a total write off. This and the clear vulnerability of all the Ultims in strong headwinds and big seas sent a shockwave through the class. 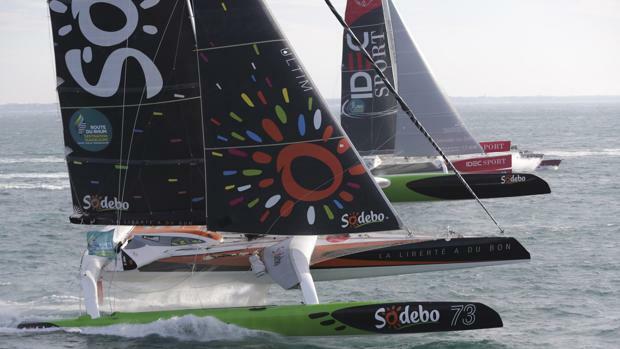 Particularly with two new boats being built – Sodebo and Macif – it was time for a rethink and plans in 2019 for the Lorient – Bermuda – Lorient race and a singlehanded around the world race – the Brest Oceans Race – scheduled for the end of year, were quickly shelved. The class received another blow to its confidence when the organisers of this year’s doublehanded Jacques Vabre transatlantic race withdrew an invitation for the Ultim 32/23 fleet to take part. Now though the class appears to have turned a corner with Banque Populaire committing earlier this year to building a new Ultim for Le Cléac’h, and the Gitana Team behind the blue Edmond de Rothschild Ultim officially joining the class – although not with Josse as skipper after parting company with the French yachtsman earlier in 2019. Meanwhile, although Francis Joyon’s gigantic red multihull IDEC is to all intents and purposes an Ultim, for his own reasons the veteran French skipper prefers to remain outside the class structure. An announcement from the Ultim 32/23 Class this week in Paris laid out a five-year racing schedule including two solo round the world races, a round Europe race, and a marathon double-handed race taking in the North and South Atlantic. 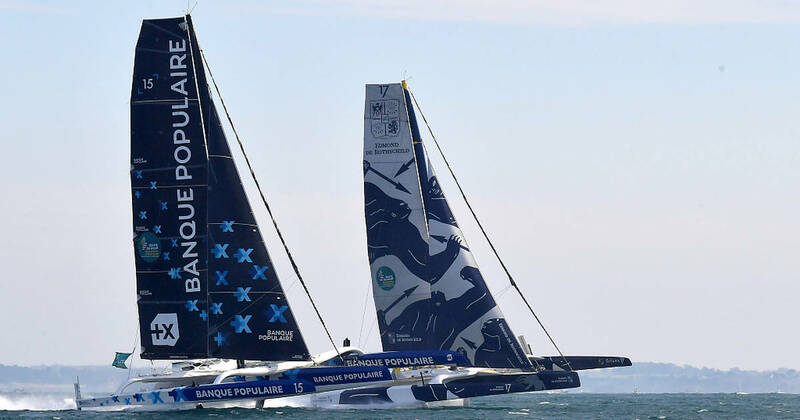 Clearly piqued over its rejection from the Transat Jacques Vabre the Ultim 32/23 class has hit back with its own double-handed non-stop race – the Brest Atlantiques – scheduled to start a week after the TJV fleet departs from nearby Le Havre. The race will be over a testing 14,000-mile course starting and finishing in Brest and taking the fleet around island turning marks off Rio de Janeiro and Cape Town. It’s a clever move that will fully challenge the fleet while keeping the crews within range of rescue if required. The boats will carry on board reporters and the race rules will officially allow “pit stops”. At this stage four boats are forecast to take part: Edmond de Rothschild, Macif, Sodebo and Actual Leader – the refitted record-breaking Sodebo, now skippered by Yves Le Blevec. Earlier in 2019 the Ultim fleet is also cited to take part in the (for these boats) short hops of the Tour de Belle Ile, Armen Race, and Rolex Fastnet Race. In 2020 the Ultims plan to take part in the singlehanded ‘The Transat’ race from Plymouth in the United Kingdom to New York – although according to French newsletter Tip and Shaft, this is yet to be confirmed by the organisers OC Sport Pen Duick. 2021 could see the Ultim fleet take part in a new Mediterranean event called The Arch – a round Europe race being planned by Damien Grimond the creator of The Bridge transatlantic race in 2017. A fully-crewed around the world race starting from the Med – most likely Nice – is also on the cards for the end of 2021, by when the new Sodebo and Macif should be up and running to boost the fleet to six boats. A gap in the calendar for the whole of 2022 will free up the teams to schedule in refits and/or record attempts ahead of the tantalising prospect of the solo, singlehanded around the world Brest Oceans Race in 2023. According to the Tip and Shaft report, a singlehanded transatlantic race earlier in the year is also a strong possibility. 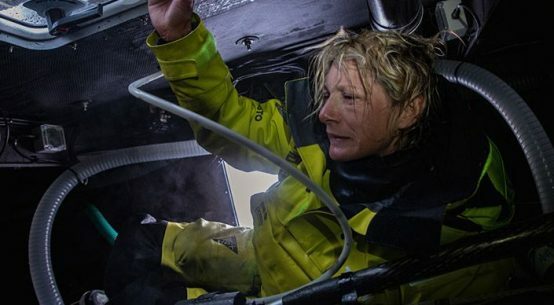 What does it take to be a boat captain in The Ocean Race?